Traditional countryside farmhouse sleeping 8-9, ideal for families or friends. 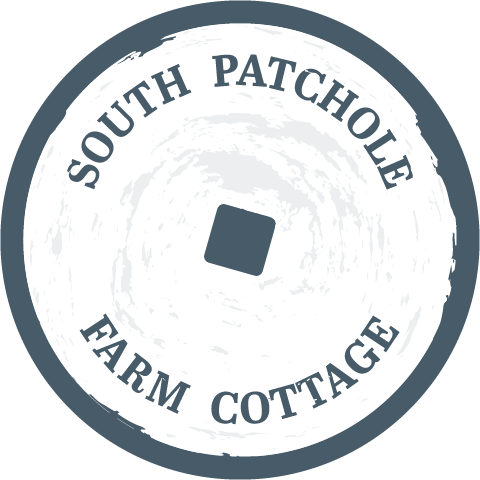 South Patchole Farm is a traditional semi-detached farmhouse comfortably accommodating up to nine, and is ideally located on the outskirts of Combe Martin, within easy reach of the beautiful North Devon coastline. 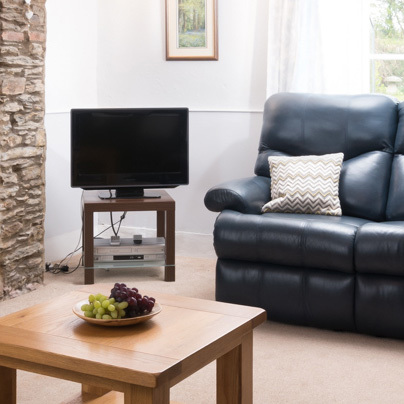 The self catering holiday farmhouse in Combe Martin proudly presents its guests with a wonderful rural retreat perfect for enjoying a self-catering holiday in a wonderful part of Britain. Just a short drive from the farmhouse is Exmoor National Park, the stunning North Devon coastline and its glorious beaches, including Woolacombe, Croyde and Saunton, as well as many family friendly attractions to keep everyone entertained no matter what the weather. 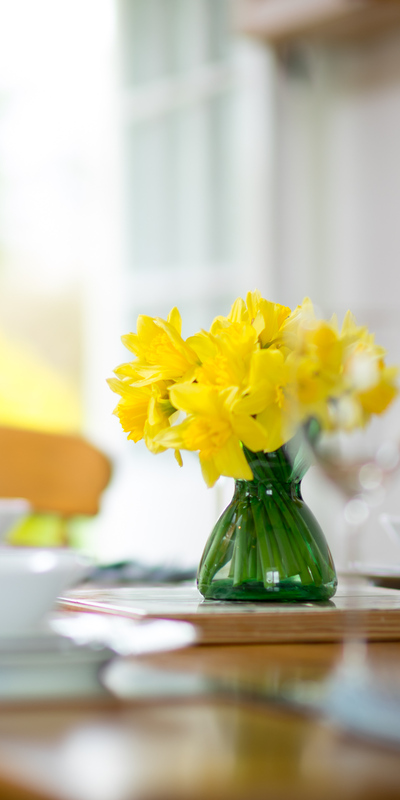 South Patchole is ideally located for families and friends looking to discover the best holiday homes in North Devon. 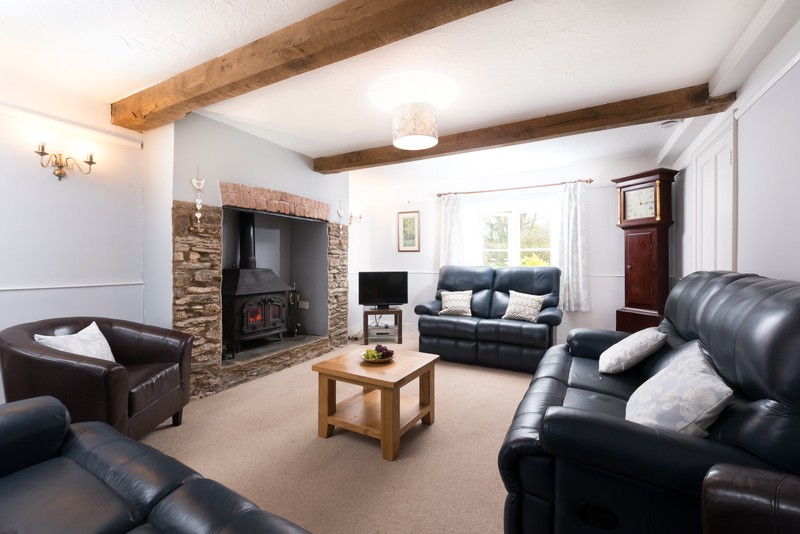 The spacious and well-presented farmhouse is set over two levels and includes a wonderful living room with large leather sofas and a double wood-burning stove, a spacious and well-equipped kitchen/dining area, four bedrooms and two family bathrooms. 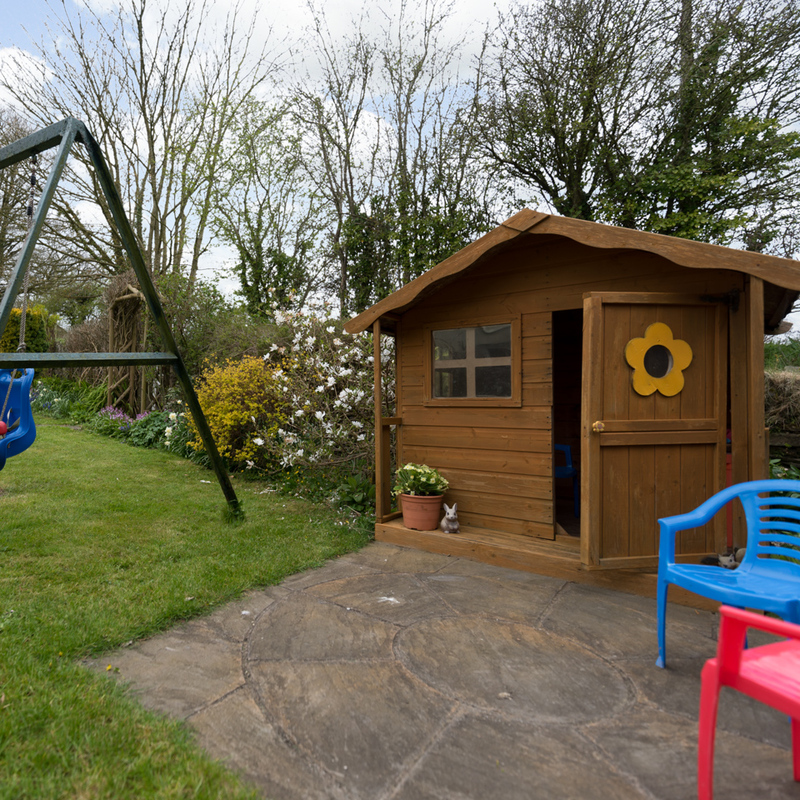 Outside guests can enjoy a lovely countryside garden, which has lots of privacy, as well as a children’s play house and swing set. 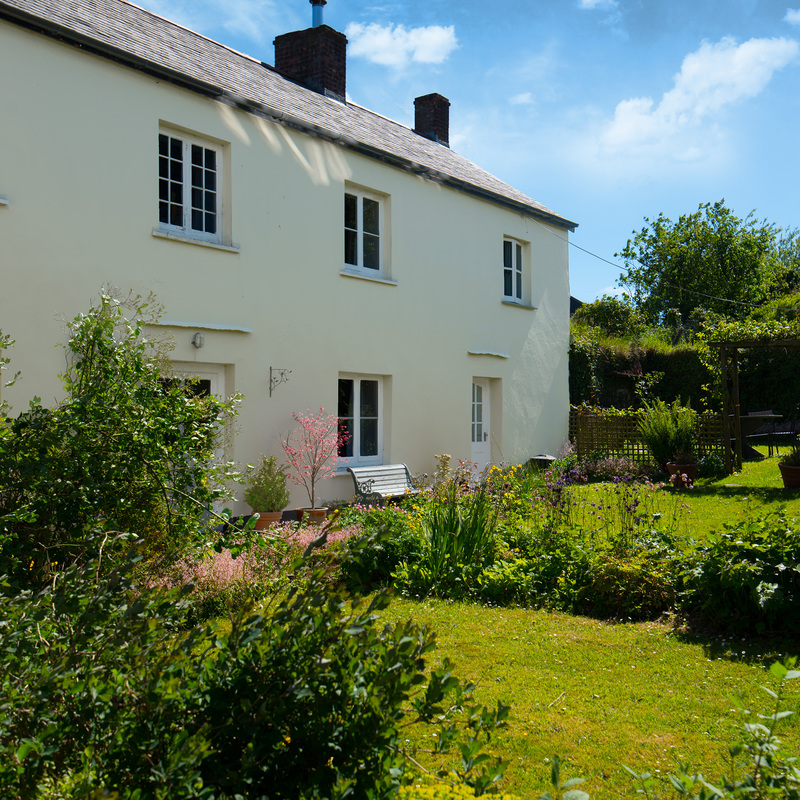 With more than 100 acres of traditional Devon farmland to explore, South Patchole’s guests can also wander the grounds, escaping to a secluded spot for a picnic, or just have a leisurely pre-dinner walk. The land surrounding the farmhouse is home to an array of animals and wildlife, so there is always plenty to see, such as wild animals, bats, birds, and of course the more common sheep, horses and hens! 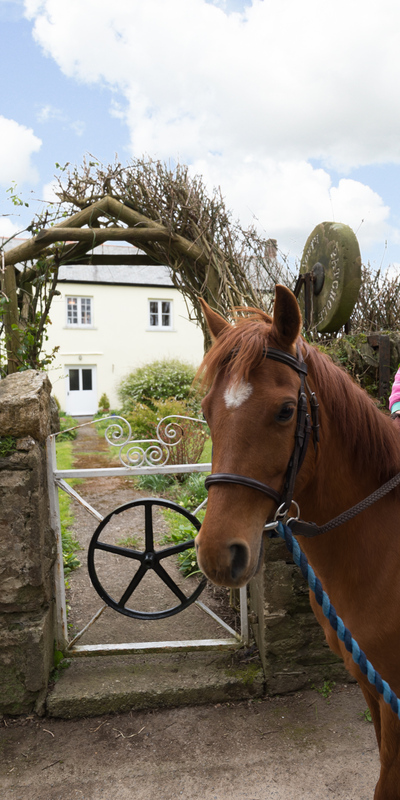 As South Patchole is a holiday cottage on a working farm in Devon, it regrettably cannot accept pets. We are sorry for any inconvenience this may cause. *Please note that although there is WiFi within the property it is not high speed, so may at times be a little slow, which may not be ideal if guests wish to work whilst on holiday. 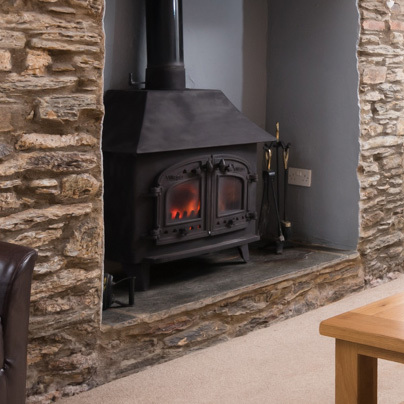 The large double aspect lounge has plenty of charm and character with original wood beams and a wonderful stone fireplace housing the double wood-burning stove, which is great for chilly winter evenings. The lounge has three big, comfy leather sofas, some with reclining features, and two leather armchairs. There is also a flat screen TV with DVD player and a gorgeous Grand Father clock. Also, available at the farmhouse is a series of board games. The traditional farmhouse kitchen at South Patchole also has lots of character such as its wood beams and original slate floor. 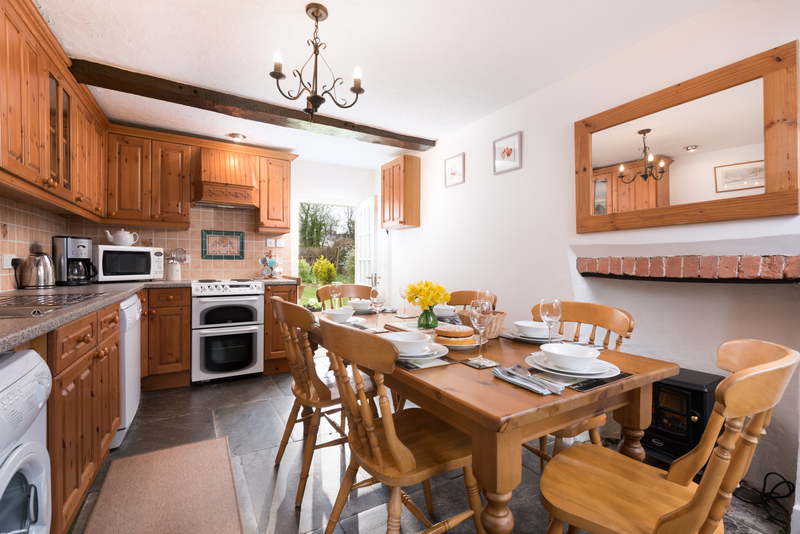 It is also a brilliant size and equipped to a high level, so guests have everything they need to enjoy their self-catering holiday. Within the kitchen, appliances include a fridge/freezer, an oven with electric hob, a coffee machine, a microwave, a dishwasher, a washing machine and a tumble dryer. A country pine table is located within the kitchen and can comfortably seat 8-9 guests. A high chair is also available for any infants staying at the farmhouse. 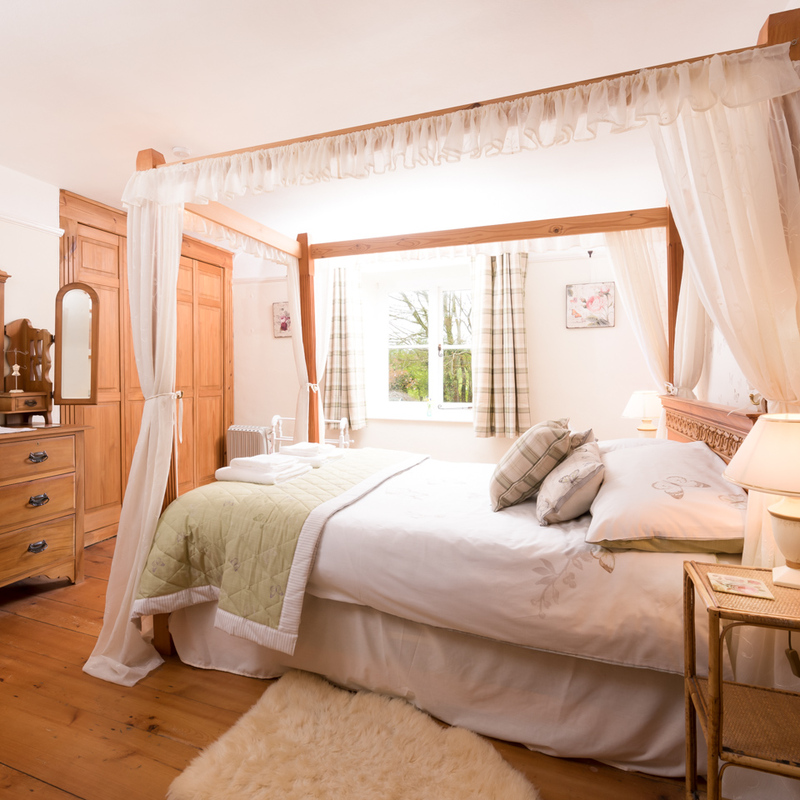 The Master Bedroom boasts plenty of traditional countryside charm, with a splendid four-poster bed combined with good quality pine furniture and pretty, soft furnishings. The bedroom, which has gorgeous countryside views also benefits from a large walk-in wardrobe, a dressing table with mirror, a chest of drawers and a handy wash-basin. Located at one end of the corridor, next door to the Master Bedroom is the large and spacious triple bedroom. 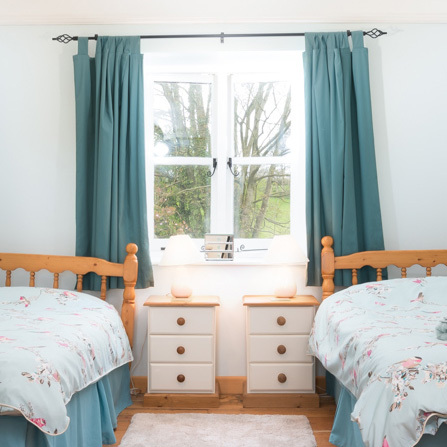 The double aspect bedroom has three full size single beds, suitable for both adults and children, and is tastefully decorated with soft shades of blue complimenting the white and pine furniture. As well as the three single beds, there is also a large wardrobe, a chest of drawers and a wash-basin. 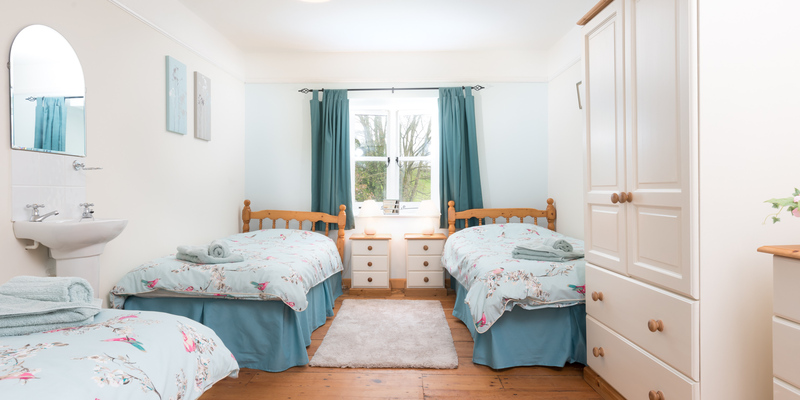 Situated next door to the bunk room is the pretty double bedroom, which has delightful garden and countryside views. 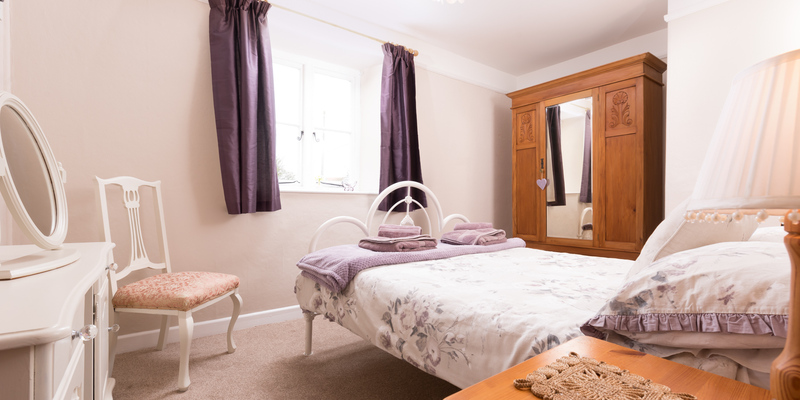 The room, which has a metal frame double bed is beautifully decorated with lovely shades of purple adding a nice touch of colour. Alongside the bed, there is also a large wardrobe with mirror, a dressing table with chair and two bedside tables. 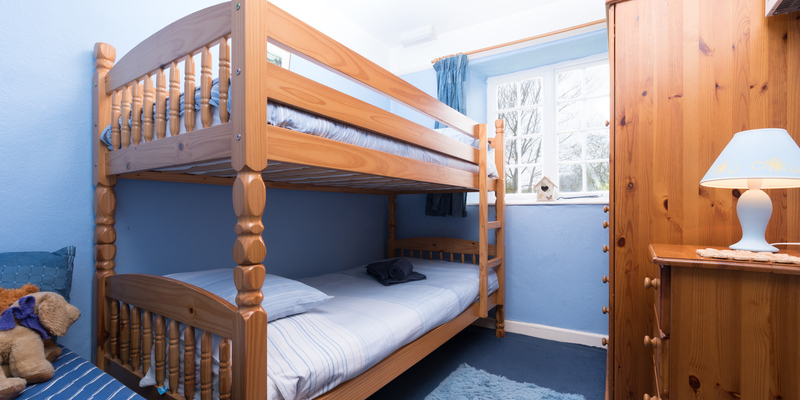 The cosy bunk room is a firm favourite amongst the children with a full-size set of bunk beds able to accommodate either adults or children. The bedroom, which looks out over the garden and fields beyond also has plenty of storage, including a large pine wardrobe and a chest of drawers. 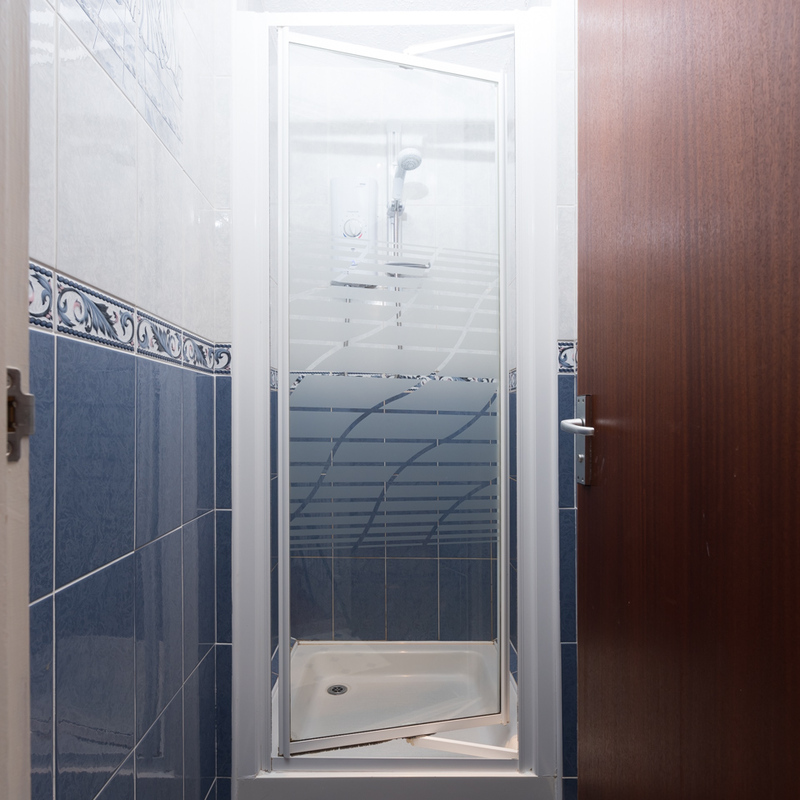 The family shower room is located next door to the double bedroom and has an electric shower. 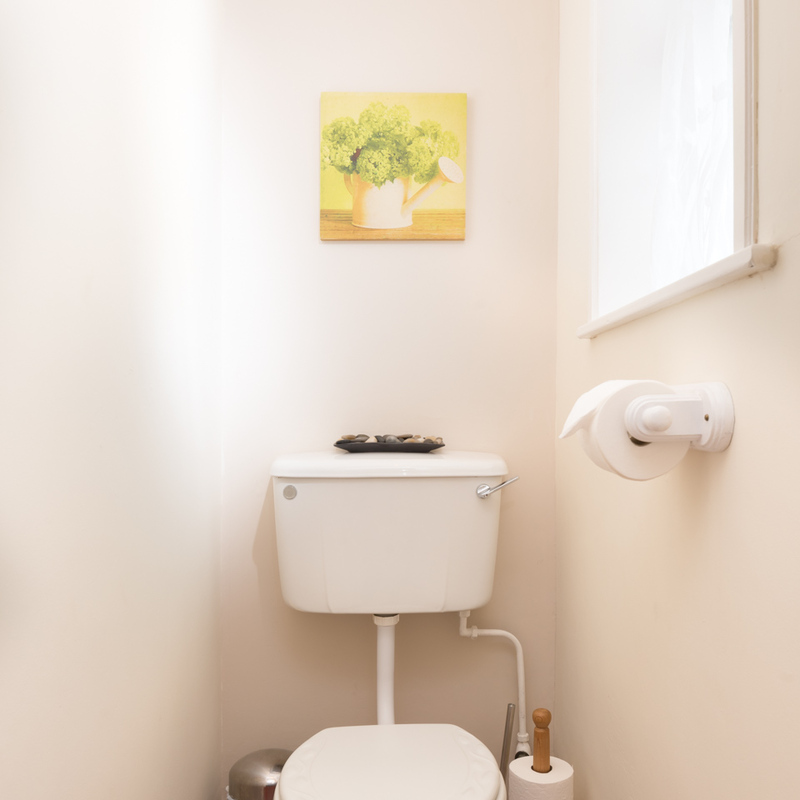 There is also a separate WC, which can be found at the top of the stairs and is ideal when the house is full. 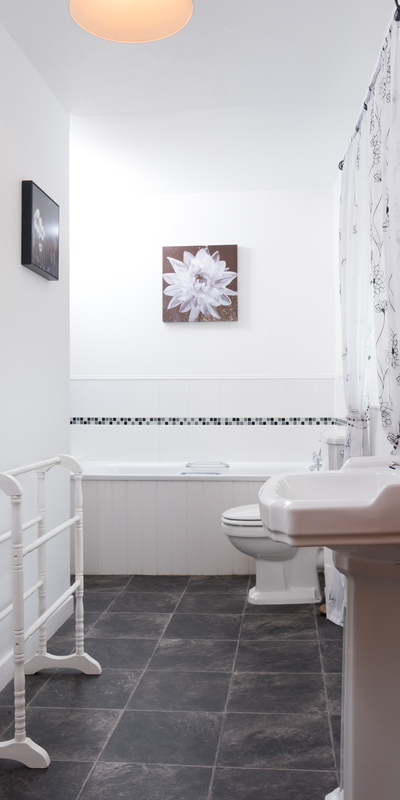 The main family bathroom is fitted with a large bath complete with shower overhead, a wash basin, a WC and a heated towel rail. South Patchole has a very pretty, walled country garden, where there is seating for all, a BBQ, a children’s swing set and a lovely play house. The garden is a wonderful safe place for children to play and explore, whilst adult can sit back and relax. As the farmhouse is located on a large working farm, guests are welcome to roam the extensive grounds, which cover more than 100 acres. The grounds have some beautiful views, and are home to many wild birds, as well as bats and local wildlife. You may also come across some of the owner’s ponies, Ruby Red Devon cows, sheep and chickens. 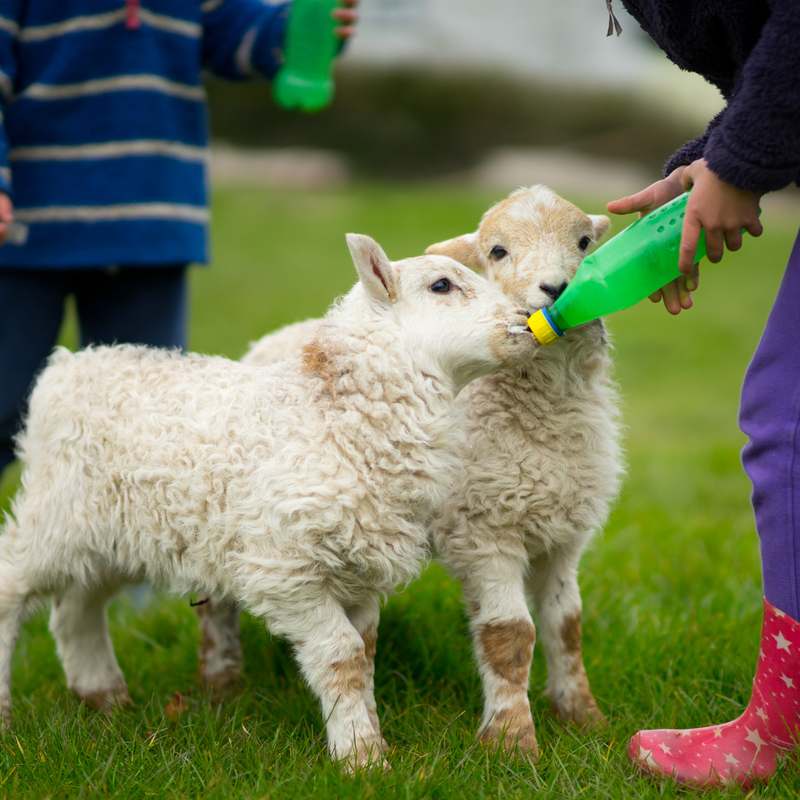 In the spring watch the baby lambs dance around the fields, and on some occasions, you may even get the chance to bottle feed some of those that need the extra milk. 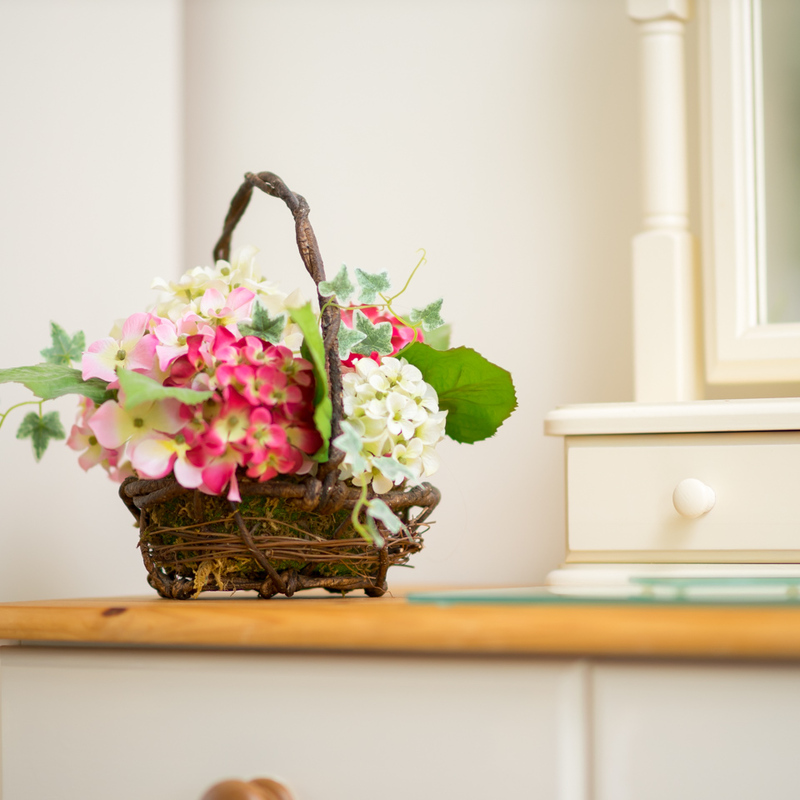 This is a great bonus for those staying at the farmhouse over Easter, who will also get to enjoy an Easter Egg hunt. If needed the owner’s will be happy to recommend some great spots for walks and enjoying a picnic.